Jodie Pierce lives with her fairy-tale hubby, John in Cleveland, Ohio. She has been writing since high school where her English teacher took an interest in her and started mentoring her. 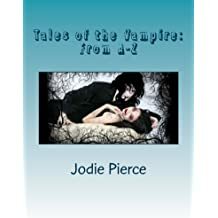 She has had a fascination with vampires since they were introduced to her as a child and has had a long history with them. 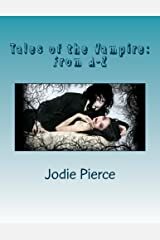 It wasn't until she started reading the Anne Rice vampire books that she was truly inspired to write about them and has never looked back. She was an exchange student in Brazil in high school so you can find some of her experiences from there in her stories. Many of her stories have historical or researched facts as she also enjoys research and learning about new places. She has published four short novels(Eternal Press), a short story in "Midnight Thirst 2", an anthology(Melange Books), has many self-published books and has several short stories that she still works on. She has two charity anthologies with various authors where all the proceeds have gone to the charities. She's always busy with the next great vampire story as her mind is non-stop and even plagues her dreams which often turn into her stories. Please help me welcome Jenn Windrow to my blog today! Carolyn Arnold & Halloween is Murder Release DayBlitz!!! In keeping with the Halloween theme (you all know how much I LOVE Halloween) is Carolyn Arnold and the book Halloween is Murder. Please help me welcome Author Tara Fox Hall to my blog today! I am supporting her A Good Year series tour. 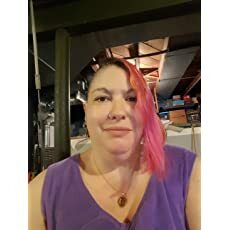 Tara Fox Hall’s writing credits include nonfiction, erotica, horror, suspense, action-adventure, children’s stories, and contemporary and historical paranormal romance. 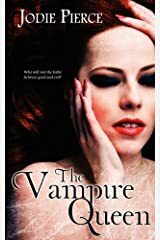 She is the author of the paranormal fantasy Lash series, the paranormal romantic suspense Unhallowed Love series and the paranormal romantic drama Promise Me series. So...Halloween is approaching and if you know me, it's my favorite holiday (yes, even over Christmas!). Darkness Within Ezine will be having a pre-halloween party on facebook on 10/29 so come join us!! We'll have games, trivia and prizes! 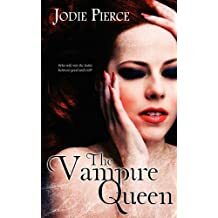 As for me, I'm still working my way through book 3 in my Immortal series and also looking for pictures for my Vampire Queen covers when I re-release them next year. It's now fall and my all time favorite holiday, Halloween!!!! Did you guess it right? If you really know me you did...lol! 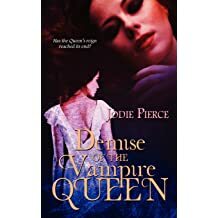 So, I decided to finish book 3 of my Immortal Series, Immortal Vultures and then move on to my previously traditionally published The Vampire Queen trilogy. What&apos;s next for me...you choose. So, books 1 & 2 are now available on Amazon, Smashwords and Draft2Digital!!! Yay!!! I've started on book 3 and am moving along nicely. Well, today is the day for the release of the Immortal Series, book 2, Immortal Desires!!! I'm so excited to be able to share this series with you! What do you think? Like the cover? Just wanted to give you an update on Book 2, Immortal Desires from the Immortal Series. It is going to be released on 8/13 (my dad's birthday who passed a little over a year). Well, this is going to be a somber post but based on my life (if any of you are interested keep reading), this weekend was rough for me emotionally. Today marked the two month passing of my mom. I have many regrets with her and I just hope in the end, though she couldn't communicate, she knew she was loved, hubby and I took great care of her and that she received what she wanted most at the end...to be with her husband of 51 years in heaven. 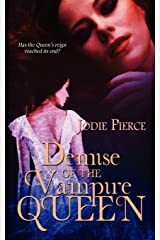 I just wanted to let you all know why my Vampire Queen Trilogy is no longer available on Amazon. A new publisher (Caliburn) came in and took over Eternal Press who had published my book previously but was having some difficulties at the end so they sold the company. My contracts on my books were up and after much disagreement, the rights to my books were given back to me but I cannot use the original covers as they belong to the publisher. Book 1 was released on 7/2/2017 and is still .99cents on Smashword.com. Author P.J. Belden & Shadowed Attachments-part two! Please welcome back Author P.J. Belden to my blog for part two. Tell me a bit about yourself: I’m a wife, a mother, a friend, sister… I love reading and writing. What type of genre do you write?Romance – contemporary, suspense, and have recently started paranormal. Please help me welcome Author P.J. Belden to my blog today! She is the amazing Author of the Shadowed Attachments book! Please help me welcome Author Joshua Robertson to my blog today! Please help me welcome Author Steven Evans to my blog today! "For some, living is a daily struggle. Their loneliness guides them and their sadness isolates them." It's been a little while but there is this great book coming out that I want you to know about. The Caging at Deadwater Manor by Sandie Will is awesome!!! Brandi Kennedy Blog Hop-Jump Right In! I'd like to welcome Author Brandi Kennedy to my blog today!! About Brandi:Brandi Kennedy is a romance novelist who is finally living her childhood career dream. As a child, books were her world and through adulthood, that love of words has never changed. 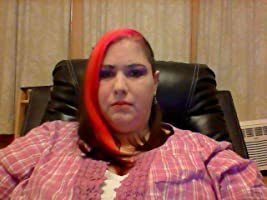 Brandi is now a contemporary romance novelist and poet with a deep love of writing and a curiously adventurous desire to someday write in several other genres. Brandi Kennedy & Selkie II!!!!!! I'm going to post some teasers for the above book, Selkie II. Now, Selkie I was AMAZING so I can't wait to get to reading the second one. For more information, please go to Tinyurl.com/selkietrilogy. Please help me welcome Author Barbara Winkes to my blog today!!! Please welcome Author Z.Z. Rae to my blog today! Author Bio: Z.Z. Rae is the author of the book: Angel Guidance for Wealth. She lives in a small town, where she inspires others to find their voice and do their passion in life. A coffee addict, Z.Z. loves to find unique coffee mugs, as well as taste several kinds of dark chocolate. Please help me welcome Chasity Tarantino to my blog! I'm going to be working with a wonderful group of ladies, especially Krystal Hernandez, to bring you Author spotlights on Wednesdays and Sundays. These spotlights are done for free as a way to help grow the Indie community, Please contact me if you're an Author or blogger and would like to participate. Just leave a comment with your email and I'll get back to you! I wanted to introduce you to one of my new favorite Authors...Sandie Will. What is your name? Do you use a pen name (if so, why?)? Please help me welcome Author Elizabeth Morgan to my blog today! She is here to promote her new book Blood Secrets. Hi all! !Welcome to the Caliburn Press Blog Hop!!! Below you will find some of our books by some great authors. Please check them out. Don’t forget to follow the blog links below for more blogs and giveaways. Please help me welcome Author Ross S. Simon to my blog today! I would like to welcome Alyce Simpson to my blog today! Today is a big day for her. She is revealing the cover to her book and you all get to see it right here! Cover reveal and fb event today for my cover reveal!!! So, I'm going to do something different today. I'm doing a cover reveal for MYSELF! I just wanted to let you know about a great Author service. Authorsdb is a great website that is designed to help out all Authors. Check it out at: http://www.authorsdb.com! I wanted to introduce you to one of my favorite Authors Brien O'Raighne! I am an author and artist. I am a family man, love my future wife, daughter, and son. My daughter is not biological, she is my future wife’s daughter, but she calls me Daddy. I love to write. It is a passion of mine. Some would say an obsession, but those don’t really support me when they call it an obsession. Just wanted to update you on Vampiro do Brasil. It's finished like I said before. Now I'm just doing my own edits before I sent it off to my wonderful Editor-In-Chief, Jessica Sawa!!! She's chomping at the bit to get the book. 'Spoke' with the Cover Artist and she'll have some options for me to look at after this weekend (Lindsey Jayne)! I'd like to rewelcome Author Brandi Kennedy to my blog today as she's got big news! Brandi Kennedy is a romance novelist who is finally living her childhood career dream. As a child, books were her world, and through adulthood, that love of words has never changed. 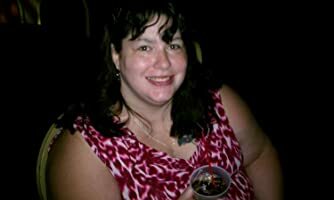 Brandi is now a contemporary romance novelist and poet with a deep love of writing and a curiously adventurous desire to someday write in several other genres. Next in Vampiro do Brasil!! Please help me welcome Author Brandi Kennedy to my blog today! I wanted to introduce you to Sabrina Samples who is currently represented by Immoral Publishing. Here are the three books she has out. Check the bottom for her newest release. I haven't really kept up with my blogging on here but I wanted to share with you my newest project. When I lived in Brasil for 6 months during high school, it made lasting impressions on me including my 'family'. Well, now, 24 years later, I have found my 'sister' on facebook. Her cousin found out about me and contacted me. We have developed a great relationship though she speaks little English. Luckily, I still remember a lot of Portuguese and we've been PM'ing a lot. I want you to help me give a warm welcome to a great new friend, Lindsey Jayne today on my blog. Her new book, Conquering the Witch was just released today! You don't want to miss these 2 books and there's the final installment being worked on as we speak. Oh, I can't wait!! Here's the information about book 2! How do you take control of your present, when the past threatens to destroy you? I know I haven't posted in a while but I wanted to let you know about my latest endeavor. I, along with various other talented people, have started a blog ezine titled Darkness Within! It can be found at www.darknesswithinezine.blogspot.com! Please visit the ezine, check out the articles and leave a comment on which articles you liked the most and if you'd like to participate in an upcoming issue!